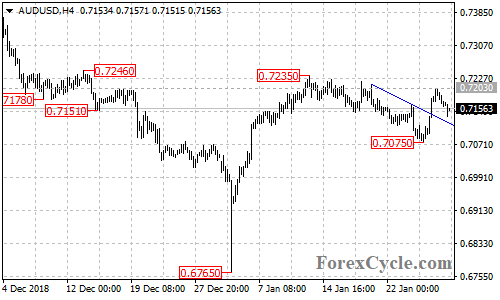 AUD/USD is now in the uptrend from 0.7075, the fall from 0.7203 is likely correction for the uptrend. Another rise is possible after the correction and next target would be at 0.7235 resistance. Support levels are at 0.7130 and 0.7075, below these levels could trigger another fall towards 0.7000.